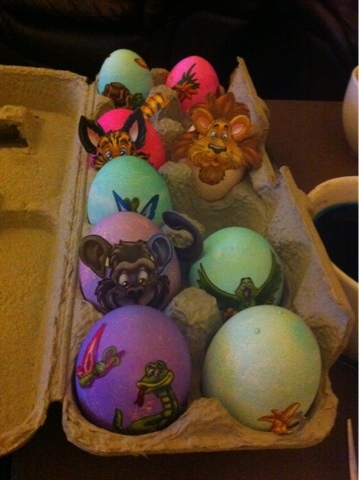 I found some discounted Easter Egg decorating supplies so me and Cory decorated one of our housemates eggs. Cute aren't they. I can only assume that he ripped them apart fried their guts and then ate them. Some people don't appreciate art at all.